We’re nearing the final countdown. How about some last-minute fun? Really, this stuff is easy to print out, and something to keep antsy kids and family-members occupied in this final stretch. Which projects would you pick? 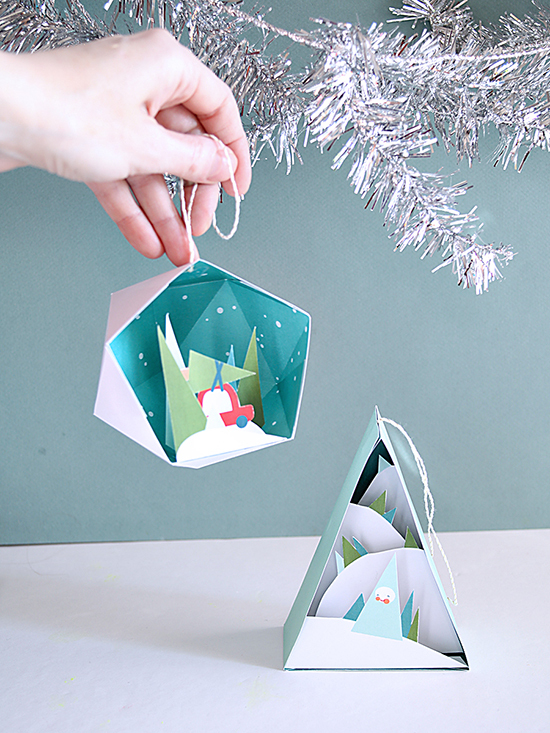 You could start with the diorama Holiday Ornaments above, they’re some of my favorites. 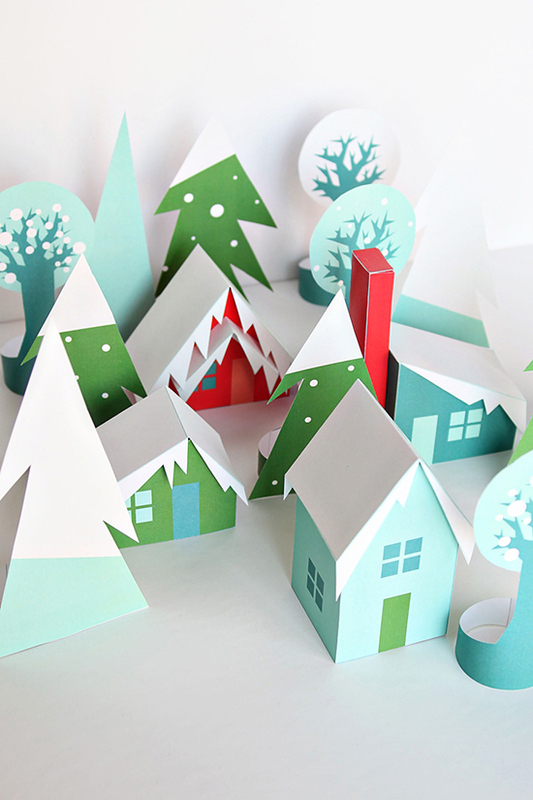 Or cozy up with this Snowy Holiday Village, and the snow-capped trees are included. 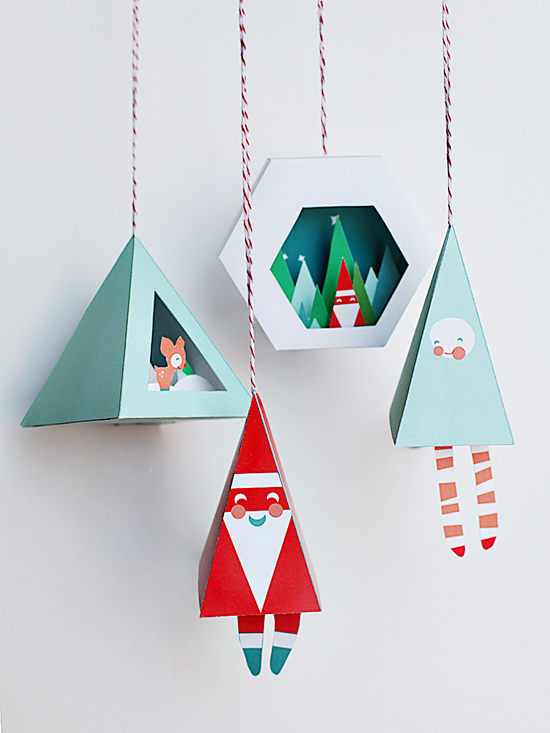 Or these classic Ho Ho Ho Holiday Ornaments are sure to please – they make great present toppers too! Previous post: let’s make mother-daughter ugly sweaters this year!